Netflix knows the way to my heart. Sing-along “Carol” anyone? ME. The 5-song playlist (!!!) is here. Enjoy the lesbianing and the misandry! Carol, the two iconic spots conveniently on our walk back, here’s one. Oh and TODAY IS THE DAY THEY MEET THERE. 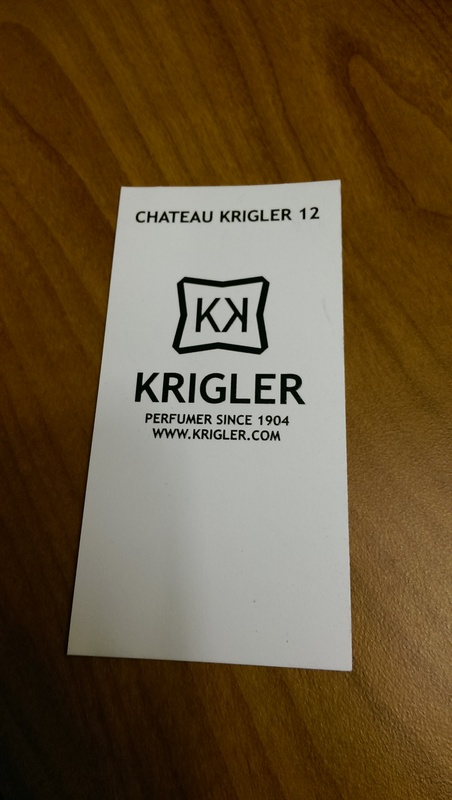 And completely unexpectedly: inside the Plaza hotel was a perfumerie that sells the scent Grace Kelly wore, so we got to smell that too. If you forgot why this is important, read this again. I was in a day-long herb class today deepening my hebal knowledge and intuition and working with the sacred Irish Warrior Goddesses Brigid and Maeve, to build courage for the times we’re in. Late in the afternoon we did a guided meditation to meet either Brigid or Maeve, and I knew Maeve was coming to meet me. Maeve is the Queen of Sovereignty, and her signature color is red. Maeve gives pretty much zero fucks what you think of her. Anyway, as the meditation invited to to visualize the Goddess before us, this is what came to mind. Well. I mean. It’s pretty much perfect, right? Part 3 of 3. Part 1, and Part 2. When I say that “Carol” is incredibly white, I don’t mean (only) that there are only 3 whole entire people of color in it (a domestic worker, and a couple walking down the street). I mean, that this story can only exist within the realm and construct of whiteness. That is to say, it is not a universal love story, as much as the cast and filmmakers and some reviewers want to think it so. What I mean is, you change the race of either or both of the two women, and you cannot tell this story. If either or both of these women are Black, for example, you cannot tell this story. You cannot tell this story of 2 women, one of them of massive and clearly inherited wealth (at least on her husband’s side), going road-tripping west on a whim and falling in love. (The falling in love bit, sure, of course, that’s not what I’m talking about). You kind of have to drive through Indiana to get to Chicago from New York, right? Carol and Therese don’t have to think about this. They don’t need “Green Books.” They can just go. Carol can even carry a gun and nobody is really going to think much about that. So even though in one way – being queer – their freedom is impacted, in another way – being white – their freedom is privileged. There is a freedom of movement, and a lack of worry about their movement, that would not be the same (and still is not) for Black folk. This is one way I see whiteness functioning in the story. I also wonder about the lack of people of color just on the streets of New York. Surely New York was more diverse? Or is what we are seeing actually segregation of the time? I wonder about my own desire, and how I was taught, via these same movies I love, what kind of woman is most desirable in the white supremacist capitalist heteropatriarchy (because, let’s face it: Jessica, Grace, Renée (opera but still), Cate…). And I think about how whiteness claims universality for itself, claims that white is the universal way to be human, the universal story – when in fact this is a very particular story about a very particular time that could only exist because of whiteness and wealth (which exists because of whiteness). This is not a universal love story. So as a white person, I’m uncomfortable with claims about “Carol” being a universal love story, that it’s “the movie we [lesbians] have all been waiting for.” I was uncomfortable with efforts to rally a #CarolWasRobbed campaign or #OscarsSoStraight/Male because when it comes down to it, we may not get many exquisite queer stories told and celebrated, but at the end of the day, white people, and white stories, won their awards. “Carol” could have (and should have!) won All.The.Things and still, white people would have won. So I love “Carol” for the queer anti-patriarchy representation it offers, all the things I wrote about in Parts 1 and 2, AND I also hold it with an eye towards disrupting whiteness. It’s all those things. We need so many kinds of stories. We SO need stories that don’t center cis white men. 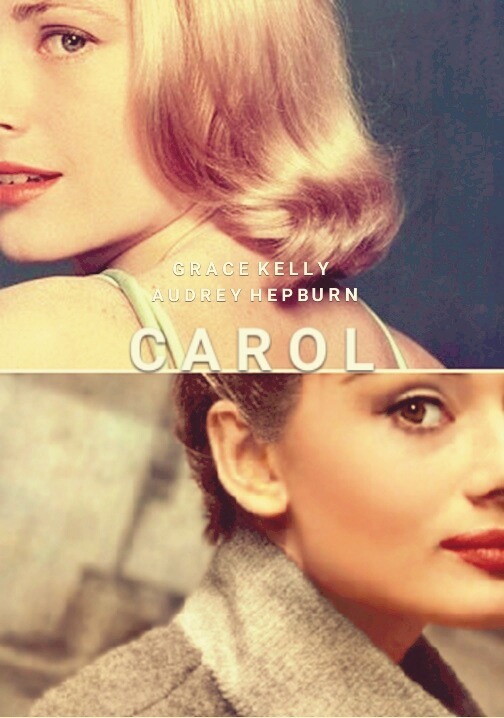 “Carol” is a step that direction but not enough. We need stories that center Black life – and not just slavery and suffering, but resistance and celebration and thriving. We need stories that center trans life (with trans characters being played by trans people, thank you). We need stories that center poor and working class folk, and undocumented folk, and Black and brown queers and stories that empower us and embolden us to disrupt and dismantle the white supremacistcapitalist heteropatriarchy, which tries to fool us into thinking there is only one, universal, white cis heteropatriarchal capitalist story – which is a lie. I want all those stories. We need all those stories. In the movie’s canon, Therese works at The New York Times. And neither of them are completely disconnected from what’s happening in the world – it’s just that in the window of time we see them, their world is reduced to each other, and Carol fighting for her daughter. But there are hints that they are aware – the McCarthy hearings for example, news on the radio and TV. In my headcanon, after where the book/movie story leaves us, Therese and Carol mostly live at Therese’s more working class neighborhood apartment. They talk about their class differences, and why they exist. They aren’t easy conversations but they make it through. Then Therese comes home one day with news about the murder of Emmett Till. Carol thinks about her own child, and something breaks open in her. Children should be safe. Children should not be murdered, ever. When the Montgomery Bus Boycott begins to make the news, they send money. Therese and Carol talk about what is happening in the freedom movement around the south, and how they can help. They’re appalled at Orval Faubus, and the abuse of sit-in activists. They keep sending money. When the Freedom Rides begin in 1961, Carol and Therese talk about their own “freedom ride” of sorts back in 1952 and decide to drive the Packard to Louisville, KY, where they leave it with Anne Braden to get it to whoever might need it, or to be sold, or whatever will be most helpful. ells her Madison Avenue apartment, sending the money to Birmingham after the 16th Street Baptist Church bombing. They take risks by talking to their friends, convincing them to support freedom work with time and money, which sometimes works, and sometimes costs them friends. 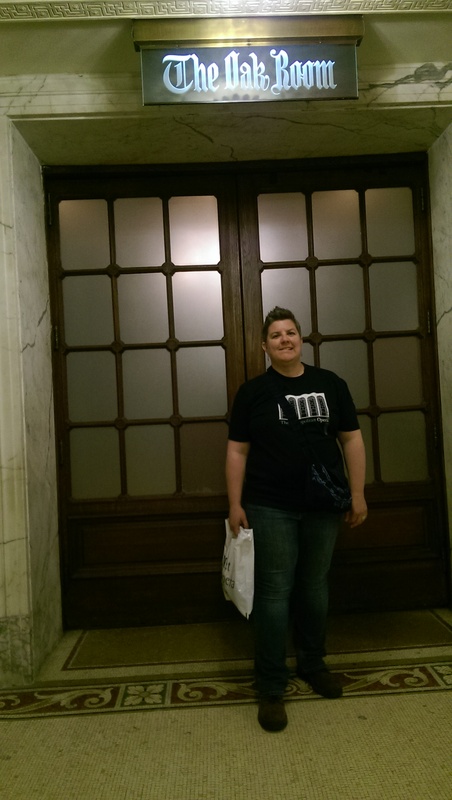 Therese makes connections via The Times to local efforts in New York, and they support again with money, and begin meeting activists and white allies. They continue trying to shift money, shift wealth into the movement – to SNCC, to Selma, to the SCLC. They argue about Malcolm X and the Black Panthers and the Young Lords and end up sending money there too. They figure out ways to put their bodies on the line – Carol, her heart rooted in the mutual interest of protecting children, gets arrested at the 1968 Democratic Convention protesting racism and the Vietnam War, while Therese provides jail support. And over time, they become more radicalized. Over time, they become accomplices. Over time, they realize that until everyone is free, they are not free. This is Part 2 of 3 – Part 1, Part 3. And then…this trailer was released, and I just…oh my god. If all I ever had was this trailer, it would have been enough. “Dearest.” Oh god, please catch me while I fall down. I knew I had to see this. The trailer made clear to me they were taking care with the material (at some point I had read the book again), taking care with the story, that the two women were clearly lovers as they were in the book (unlike “Fried Green Tomatoes” where that bit is erased), and my god, so beautiful, and my god, the gazes (she looks, and she looks back, can it be? ), and my god, they get to kiss, and my god, Cate’s voice. Belly. Fluttering. I said to my awesome therapist (with whom it’s probably not coincidental in the universe’s timing of things I’ve been working on healing that 12-year-old girl), and my cielo, and anyone else who would listen: I am seeing this movie, I think this is the movie my 12-year-old self needed. I checked and checked our local theaters until finally, it got here (yeah, let’s keep talking about which films get lifted up, celebrated, distributed…). The first time we saw it, I forgot to breathe. For the whole film. When Carol pulled open the belt of her robe I thought I would faint. I could not believe what I was seeing. We left the theater and I danced, like, for real danced down the street, so happy. And like I said, I’ve seen it 6 more times (so far) since. I am like unto obsessed, reading reviews (here’s a fave) and reading/watching interviews with the cast, director, screenwriter, and score composer (just search in YouTube, there are many), trying to understand how this exquisite piece of art came into being, and why it has impacted me so. Obviously part of it is of course seeing two women falling in love, as lovers. That one of them is Cate Blanchett…well. But it’s not just that. How do I begin to describe? Which is exactly what I said to my cielo after we saw it the first time: that somebody had been watching their Hitchcock, and it was surely “Rear Window” because of the costuming and framing choices for Carol in particular, and perhaps “Vertigo” because of all the longing looks from cars and distance, and no wonder I danced down the street. The aesthetic was more than reminiscent of Hitchcock’s film. They had taken care with the 1952-53 setting (they talk about this a lot in interviews) which would have been when “Rear Window” was filming (at least some, it was released in 1954), and it shows. (Also, hello, blond woman’s lover with a camera…). So yes,my adolescent, Grace-Kelly-loving, queer self was/is over the moon. I could look up at the screen, and put myself-as-myself into Therese’s role, and gaze at Carol (like I gazed at Grace Kelly) all the live-long day (just like Therese does), and watch Carol gaze back. Swoon. That’s a kind of representation. There’s this kind of representation too: almost everything between Carol and Therese is so much subtext. Because of the time so little could be spoken, said outright. So much is expressed between Carol and Therese in glances, a hand on a shoulder, not words, because first of all Therese doesn’t even have the words, and second, to be direct is to risk disaster if you’re wrong (Carol decides to, anyway, at least a little, which is stunning, as in the Glove Lunch scene). Cate and Rooney play it SO well, the chemistry is SO right. Everything is in the eyes, watching for every clue, every hint, trying to decipher if she means what I think she means and will she know that I know and understand what I am meaning? This is exactly right. I’ve read a few reviews/comments where people want there to be more directness, they think Carol and Therese are cold because they aren’t flinging around grand romantic pronouncements. But they couldn’t. They couldn’t. I came out in 1992. One of the first people I came out to told me to never come near her children again. I wasn’t out at my work places for a long time. I could have lost my jobs (I did lose one, in a way). So I have felt some of that risk. And this: When my cielo and I fell in love, in 1994, it was just like that, weeks and weeks of subtext and glances and hints and wondering (on my part, she had her own wondering), “How in the world do I say what I feel and let her know it’s ok wha t she feels if that’s actually what she feels without ruining the whole thing because what if I’m wrong because that could be an immense disaster?” To get it wrong in the heterosexual world means some embarrassment; to get it wrong in 1952 (or 1994, or today) could mean — well, look what the heteropatriarchy tries to get Carol to do just to be able to see her daughter. So this honoring of that experience in “Carol” feels so true to me. And it’s done so well. The ache and the longing and the loneliness of all that just crack me open and feel so right to my experience. That’s a kind of representation. And also: the care with which the story is told. The interviews affirmed what I knew: that so much care had gone into making this film. 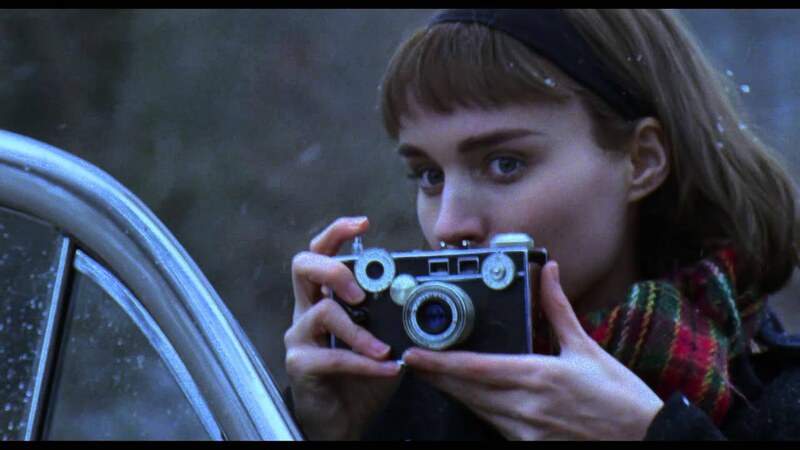 In the cinematography, the costuming, the use of light, the use of reflection, the music, the details from the book that made it into little things like “Easy Living,” and “flung out of space,” and Carol constantly combing her hair back with her fingers. Immense care was taken with this story, to honor the novel and to honor the lives and love of these two women. I’m moved by that, deeply. Honestly, we don’t get that often with lesbian/queer cinema. Not all of it, all at once. Not often. Maybe never like this. This film, it’s like an essential oil of the book. It’s like they took the material and distilled it down, and down again, into its essence. Much less dialogue, much communicated by expressions rather than words, much communicated through cinematography and music – and it is all there. An example: there are phone calls and long letters from Carol to Therese in the book after their separation, and in the film we have the one, exquisite letter, brief, leaving us wanting (leaving Therese wanting, I am certain) – and all those letters and calls are distilled into that one letter, and all the meaning is there. It’s astounding to me. Brilliant writing and acting and filming and music. That kind of care and honoring of this story, that’s a kind of representation. And there’s this, too: this movie didn’t become all about the men and their feelings. Check out this research: Men get so many words. Even in women-centered movies, men very often get more dialogue, more actual words. Patriarchy has a hard time letting a story center on something other than (cis, white) men. “Carol” not only avoids this (72% women’s words, for the record), it makes clear that this story is not about the men at all. They aren’t ogres (well, maybe Harge), but they’re irrelevant to the women’s happiness, which befuddles them – but the story spends no time in their feelings. This story is about the women, queer women at that, centering them in a way that is so rare in cinema, and which I am certain is the reason why it got shut out at the Oscars and absurdly didn’t even rate a best picture nomination (I’m not the only one who thinks this). So that centering is a kind of representation. The last thing (there’s not really a last thing when it comes to me and this movie, but whatever) is about resolution. (I think this is what makes the pop music so disconcerting, all those peppy straightforward major chords, and also perfect for the start of the road trip, that peppy, major-key joy – and sleighbells! The jazzy wandering of Billie Holiday’s “Easy Living” is a little different, especially because we hear it spare at first, with the tension of Carol and Therese’s back-and-forth around the piano. The solo clarinet echoes the solo clarinet, i.e. Therese, of the score). “You seek resolutions and explanations because you are young,” Carol writes to Therese. The letter clarifies what the music has been telling us: there is no easy resolution for the situation Carol and Therese find themselves in. Carol is telling her: this, her life, is a mess. Life is messy. This is what you come to realize as an adult. There is no “happily ever after” exactly – no running off into the Iowa sunset and…then what? What actually happens next? Especially if you’re queer, there is a lot of negotiating to be done. Negotiating how to live with some freedom within systemic oppression. Negotiating all the varying shades of being out (or not). Add in another person, add in a child, and a divorce, and well, it’s messy. For Carol, she’s negotiating how to be somewhat free, yet still with the pain of being separated from her daughter. Therese has to decide, are you ready for that, or not? She has to decide what she wants. We see Therese’s transformation over the course of the film and so her return to Carol at the end feels true. It feels joyous (a perpetual sunrise). And it still feels unresolved, that swelling unresolved chord, because what happens now? Nagy says the ending is hopeful because it is full of possibility. It doesn’t offer “resolutions and explanations” because life is not like that. Especially if you are queer. And that, too, is a kind of representation. All of these words and it still feels insufficient to describe what the film has meant to me. It’s healed me, honestly, has unleashed some creativity that has been long dormant (as in this set of posts, and as in, here’s a fanfic I wrote about “what happens next” because I couldn’t stop imagining it. I’ve never written a fic…except in my head), and in doing so has helped me to feel more free with myself, my voice – I think because that 12-year-old me is finally happy. This film is more than I ever expected. I’m so thankful for it. And…I think it’s important to recognize that this film is incredibly white. Please read Part 3, it’s important. Hi friends! This is long, so it’s in 3 parts – Part 2, Part 3. And also, beyond here there be spoilers! And fangirling! I have SO many things to say about “Carol.” I have seen it 7 times since it came to Denver the very last days of December – 4 times in the theater and three times (so far) on DVD, which obviously I bought immediately. I’ve read “The Price of Salt” 4 or 5 times now, and the last half (starting with the road trip) even more. I have SO many things to say about “Carol.” But to start, I have to tell you a little about the year I turned 12 – 1982. Many things happened to me that year, most of which is a long story for another time. But those things, I’ll tell you, left me feeling very alone, and lonely, and afraid. 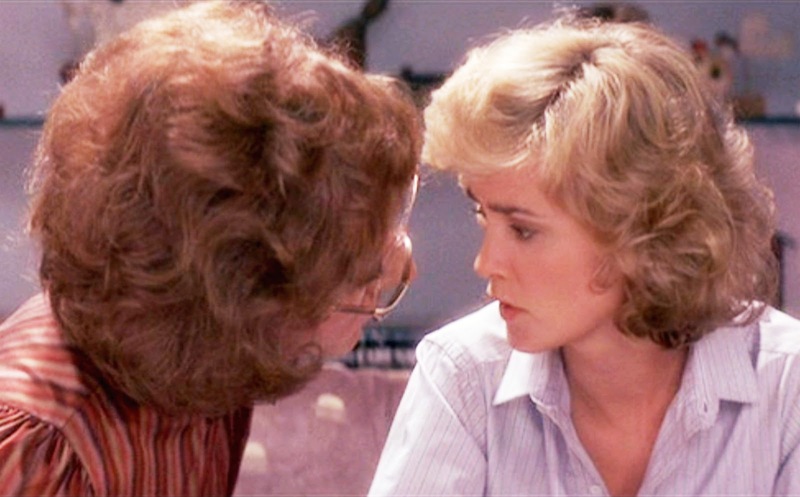 Anyway…I still remember how it felt in my belly when Jessica Lange was on the screen, when Hoffman-as-a-woman touched her hair when they lay in bed, and when they almost, almost kissed on the couch. I still remember riding home in the car, staring out the window, playing those scenes over in my head, and knowing in a deep deep place that I couldn’t even admit I knew, that I looked at Jessica the same way Hoffman-as-a-woman (and the camera) did, that I wanted to touch her the way Hoffman-as-a-woman did. And I wondered why it got awkward (or became a joke? I mean, it’s played for laughs) when they almost kissed. There was nobody, nobody I knew who I could talk to about it. I didn’t know what it was I felt, had no words for it, for what I knew. I didn’t know “lesbian” or even gay. I did know this: All the girls around me were so into boys, and I pretended, but knew (in not quite so deep a place) that I was lying. And that was it. That was all the representation I had, on screen, of some piece of truth of me. A story about a man dressed as a woman just to get a job who falls in love with another woman while he’s dressed as a woman and…well. The point is, it was not actually my truth exactly, right? And then…as a teenager my parents introduced me to Hitchcock movies. 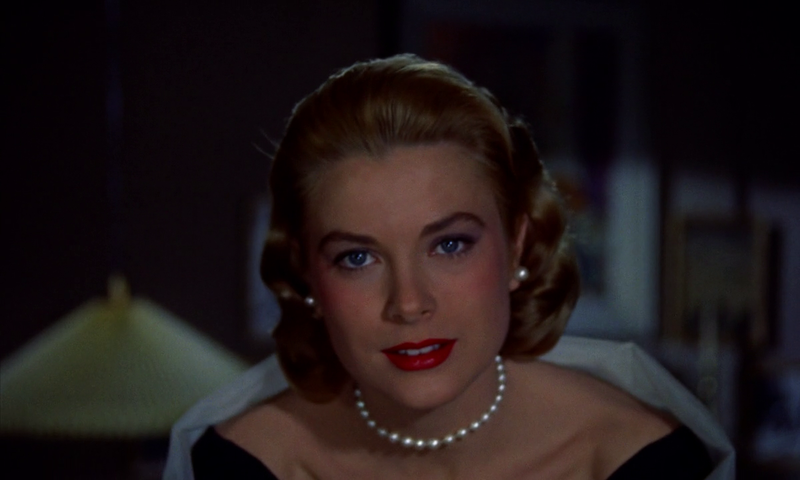 I loved them, was fascinated by them as filmmaking (I ended up taking a film class on Hitchcock in college) and, let’s be totally honest, I LOVED Grace Kelly. Also. HER MIDDLE NAME IS CAROL. I couldn’t get enough. (Still can’t.) I watched “Rear Window” (especially) and “To Catch a Thief” and “Vertigo” (not Grace, but the mesmerization of gaze and longing hooked me) whenever I could. 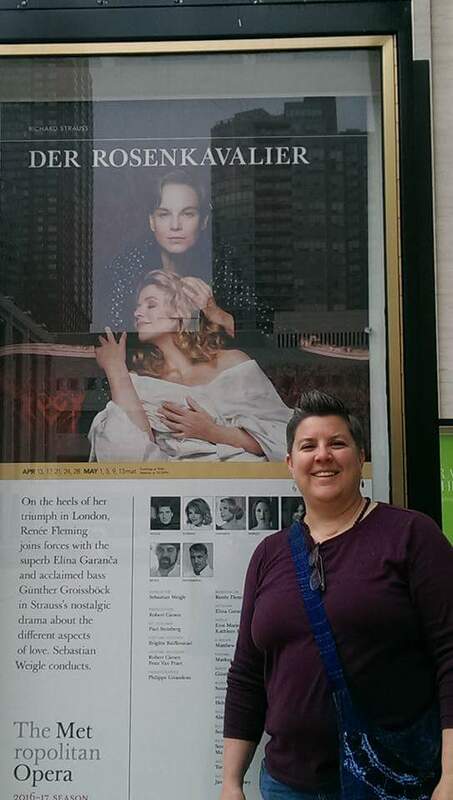 There was no Google Image then, but I cut out pictures of Grace, and Kim, (and Kiri, hello queer opera friends) when I could find them and pinned them to my bulletin board. My friends had pictures of Rob Lowe and Emilio Estevez. So I would imagine myself as Jimmy Stewart in “Rear Window,” looking at Grace Kelly the way he (and the camera) did when she first enters. I also wrote stories during those teenage years as a safe place to imagine myself into a story where I-as-a-man got to kiss or be kissed by a woman. Like I saw on screen. I knew I was doing this even though I also didn’t know, at the same time, if that makes sense. I’m a cis woman. I knew that then. I knew I was a girl who was utterly enthralled by Grace Kelly, and the only way I found to be a part of that story was to imagine myself to be something I wasn’t (am not). Because those were the only stories I read or saw, anywhere. And those stories weren’t really mine anyway, weren’t made for me. It was a confusing, and lonely, time. I remember in my body the aching loneliness of *looking* and knowing I wasn’t supposed to, knowing that look wouldn’t be returned. When “Fried Green Tomatoes” came out in January, 1992, I just about nearly came out of my skin. I felt like I was flying. I saw it over, and over, and over. And over. After the first time I saw it I made my best friend Mickey take me shopping for a denim shirt so I could feel like Idgie. Finally, FINALLY here was something on screen, a story that felt like what I felt. I could see myself-as-me in it for the first time. I didn’t have to imagine myself into something I wasn’t. Something shifted and felt possible. By June of that year, I had come out. What would it have meant to have had that representation when I was a lonely 12-year old girl, a closeted, scared, queer adolescent longing for Grace Kelly but with no stories to guide me? On to Part 2 here!